The immediate effects of earthquakes are visible: lost lives, displaced people, destroyed houses and shattered cultural heritage sites. Take a longer view, however, and earthquakes are often associated with profound political and social transformation. Such change may be given momentum by the shock of the disaster, the desire to reform ways of governing and being governed that could not withstand the shock, and by the arrival of new ideas about how things should be done. 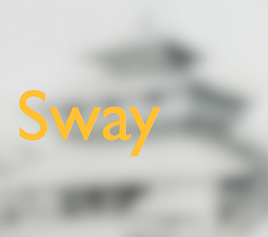 The SOAS-led ‘Sway’ project [https://sway.soscbaha.org/] has been studying the impacts of the 2015 Gorkha earthquake and earlier earthquakes in Nepal with a view to understand social and political change, to document efforts to reclaim and reinvent material culture, and to explore archives relating to previous disasters. The work of this project will be one of the focal points of this conference. Humanitarianism: Who is responsible? Who comes to the aid of those inhabiting the ruins and why? What do they hope to achieve? What forms have earthquake humanitarianism taken? What have they achieved? Bureaucracy: Earthquakes encourage new legislation, codes and new procedures. What shape have these taken? To what end? How have earthquakes been understood within new bureaucracies? How has bureaucracy refashioned citizenship or urban form? Philosophy: In South Asia, what have earthquakes made people think about religion, nature, government and relations between one another? How do earthquakes influence the direction or shape of societies? 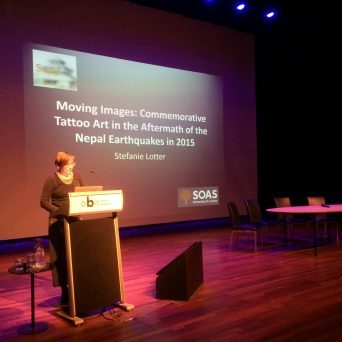 Affect and Memory: What forms of social, political and heritage activism have arisen from earthquakes in South Asia? What artistic and literary responses have there been? How have earthquakes been remembered and memorialised? What has their impact been upon mental health? The conference will be publication-driven with the intention of collecting state of the art research on earthquakes in South Asia within a comparative and inter-disciplinary frame. We seek contributions from scholars who have taken a longer-term and field- or archive-based approach to understanding earthquakes in the region. Selected participants will be requested to produce a paper of 4000-5000 words to be pre-circulated in advance of the conference. Limited travel and accommodation assistance is available. We look forward to hearing from you. SWAY project researcher Dr. John Whelpton awarded the annual prize of the National Icon Bhimsen Thapa Memorial Foundation. Violent Sway team at The North European Conference on Emergency and Disaster Studies, March 21-23. This project will document and analyse the cultural and political impacts of Nepal’s 2015 earthquakes. The physical impact of a natural disaster such as a major earthquake is immediately visible: lost lives, displaced people, destroyed houses and a shattered cultural heritage. However, the longer-term impact and legacy of such an event is less apparent. The project is structured along three distinct but inter-related themes. It will examine public discourse to understand social and political change; it will study efforts to reclaim and reinvent material culture; and it will study archival material to identify the permanent marks left by previous disasters. 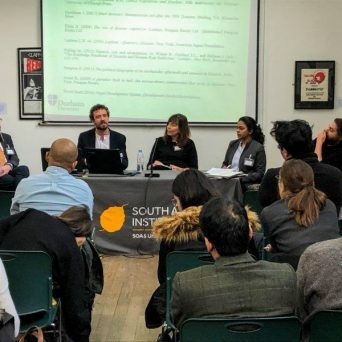 Copyright © SOAS University of London (School of Oriental and African Studies) 2019. All rights reserved.